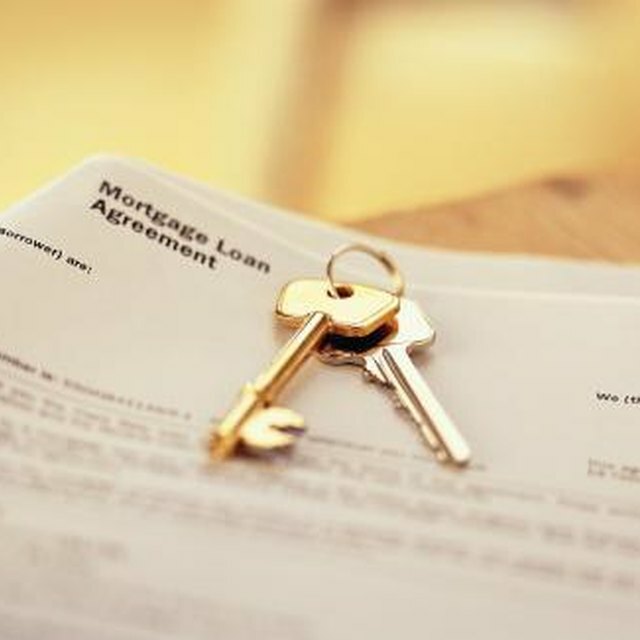 Many homebuyers have a choice between a conventional conforming mortgage underwritten by either Freddie Mac or Fannie Mae and a government-backed home loan program such as a loan guaranteed by the Department of Veterans Affairs or the Federal Housing Administration. The best loan for you depends both on your particular situation and for which program you can qualify. Every program has a lending limit. Conventional mortgages must be under $625,500 in high-cost areas or $417,000 in other areas, although loans in Hawaii, Guam, Alaska and the U.S. Virgin Islands can be higher. FHA loans have a limit that varies by area, but can be as high as $729,750, which is higher than the conforming limit. The VA Loan Guaranty Program does not limit the size of VA mortgage an eligible borrower may receive, though it does limit the amount of the loan to which it will provide its percentage gurantee. The guranteed amounts are based on location, with VA borrowers in Nantucket, Massachusetts, able to get VA backing on loans as high as $1,094,625. The baseline for a conventional loan is 20 percent down, which corresponds to an 80 percent loan-to-value ratio, although some lenders will lend to well-qualified borrowers at a 90 or 95 percent LTV. FHA loans let you buy a home with just 3.5 percent down, giving you a 96.5 percent LTV ratio. This makes then an excellent option if you are looking to put as little down as possible. VA loans have no down payment requirement, letting you buy a home without putting any of your own money in. Generally, conventional loans have the lowest rates. However, conventional lenders will frequently increase your rate if you do not have extremely strong credit. Borrowers in this situation will usually find that their rate on an FHA or VA loan is lower. The best way to find out what rate you will qualify for is to have a lender or mortgage broker analyze your credit score and give you a financing quote that is personalized to you. Some loans require you to pay a fee for insurance that protects your lender in the event that you don't make your payments. VA loans do not have a mortgage insurance requirement, which makes them an excellent low-down payment option. Conventional loans require private mortgage insurance if you do not put at least 20 percent down. FHA loans require mortgage insurance unless you borrow less than 78 percent of the home's value and take out a 15-year loan. Conventional loans are the hardest to qualify for, since many lenders will only give you their best rates if you have a credit score of 740. You will probably be unable to find a loan at all if your credit is below 620, and if your credit is between the two thresholds, you will probably pay a higher rate. Both FHA and VA have relaxed qualification criteria, including both a lower income-to-debt ratio requirement and more flexible credit score requirements. FHA loans, for example, are available with a credit score as low as 580 and you can even take out an FHA loan with a 10 percent down payment if you have a score of 500 or above. The Mortgage Reports: FHA Mortgage Rates Vs. Conforming Mortgage Rates: Which Is Better For You?